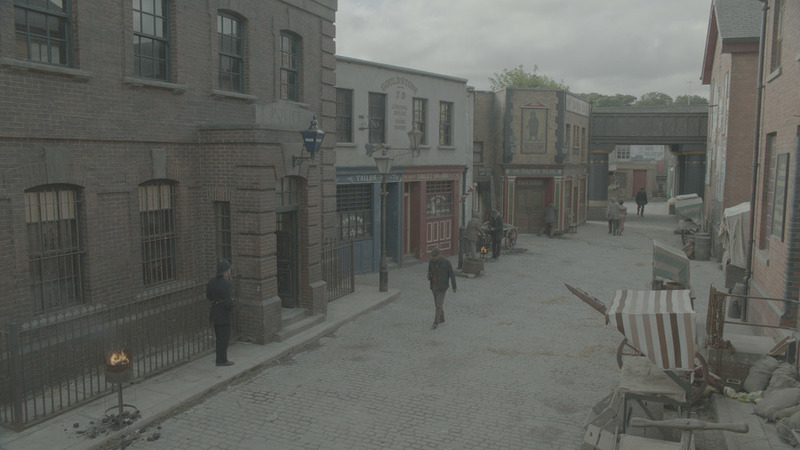 Screen Scene from Dublin contacted me to do some extension work for Season 3 of Ripper Street. I helped develop some useful 3D assets that enabled the workflow to go fast for my DMP pipeline. 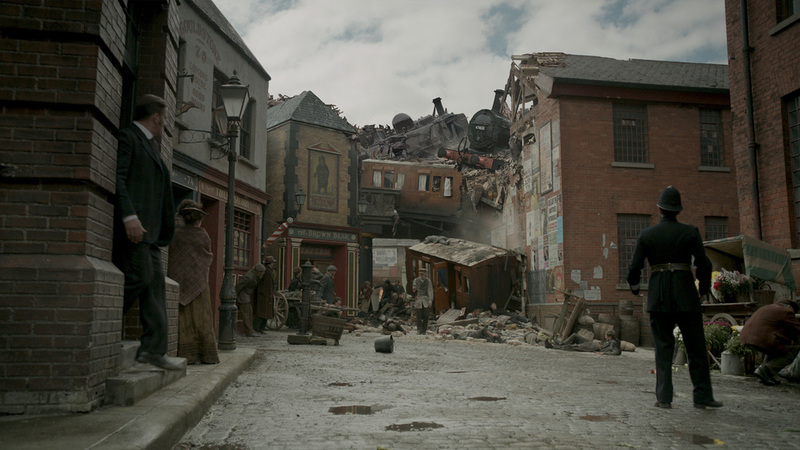 These shot required a good amount of various early 20th Century victorian buildings. As deadlines were tight each shot roughly landed between 2-5 days turnaround. This shot below, i concepted and painted for the final tweak for the comp guys. The first shot i got to start working off. 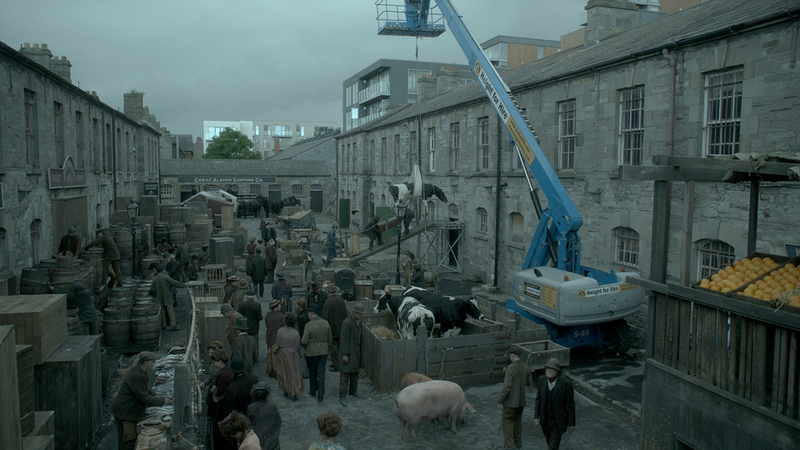 There was the challenge of making this accident look natural but respecting what has been shot on set. And a day to night shot, some roof extensions and cleanup. 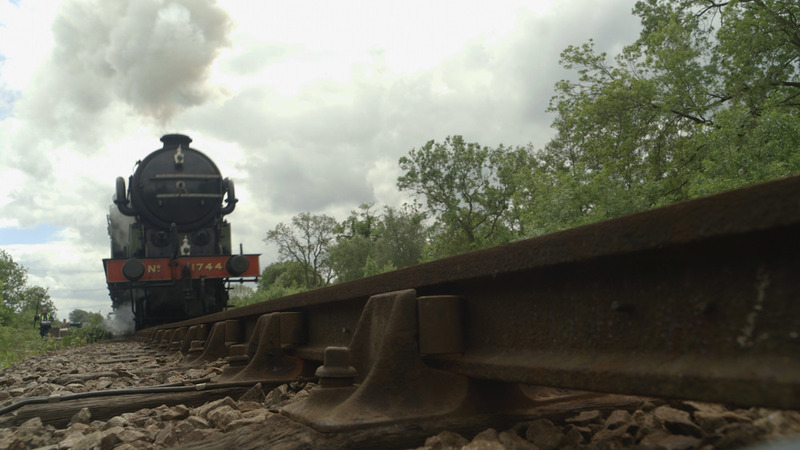 There was a vast amount of work for the train Sequence. 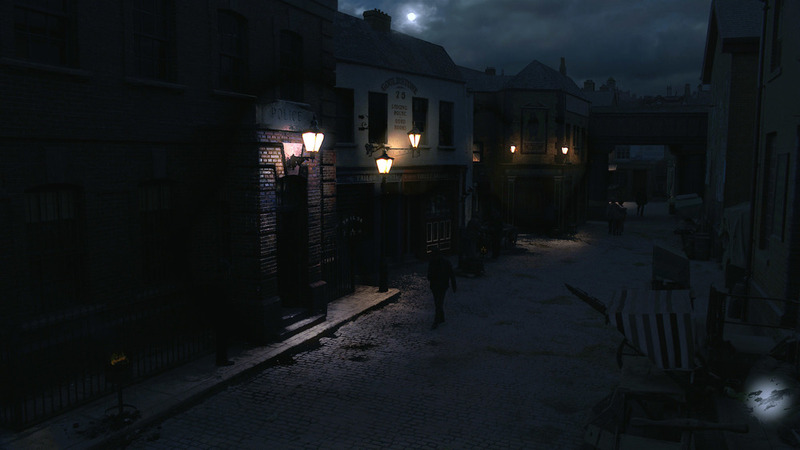 The majority of the event takes place on the edge of outskirts old victorian London. We needed to focus on adding industrial and warehouse complexes close to the tracks. Here you can view one of the shots.